The Third Age Centre honours and recognizes outstanding contributions to the quality of life and wellbeing of New Brunswick seniors with two annual awards. The Wakeling Award, named for George Wakeling, one of the founding members of the Third Age Centre, is for an individual. The Logue Memorial Award, named for Marjorie and Ottis Logue, former members and generous benefactors of the Third Age Centre, is for an organization or group. These awards are presented on October 1st each year, at the International Day of Older Persons luncheon hosted by the Third Age Centre in Fredericton. These awards have a proud history of more than twenty years. 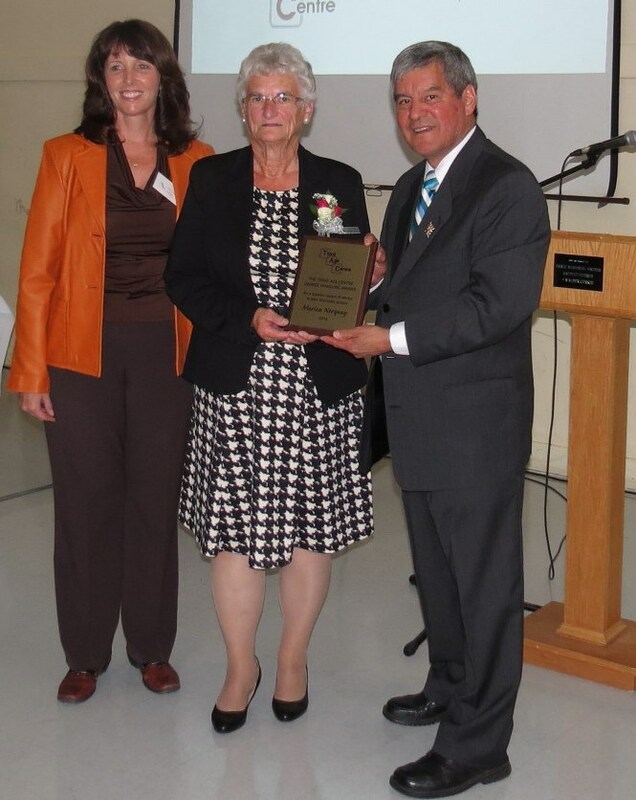 Award recipients in both categories are selected on the basis of the impact, quality, and creativity of the service that has been provided, and in light of a demonstrated ongoing commitment to bettering the lives of older adults in New Brunswick. 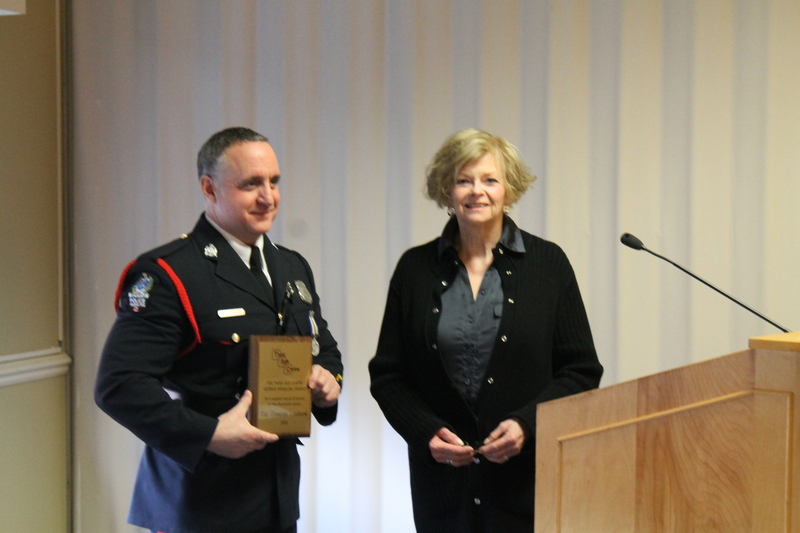 TAC President Donna Evans presented the George Wakeling Award to Constable Duncan Lombard, a 25-year veteran with the Fredericton Police Department. During the last eight years, Cst. 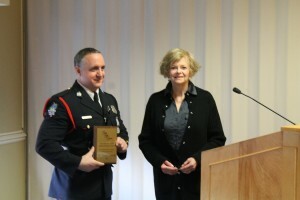 Lombard has taken on a number of crime prevention related initiatives, including developing a Seniors Advisory Group. Cst. Lombard was instrumental in bringing a group of seniors together as volunteers to move initiatives forward for adults 50 years and older. Cst. Lombard, with this group of volunteers, has moved forward a number of crime prevention and harm reduction initiatives. Jesse Everett of Stanley was awarded a special certificate for his exemplary work and presence among the residents at Nashwaak Villa, Stanley. 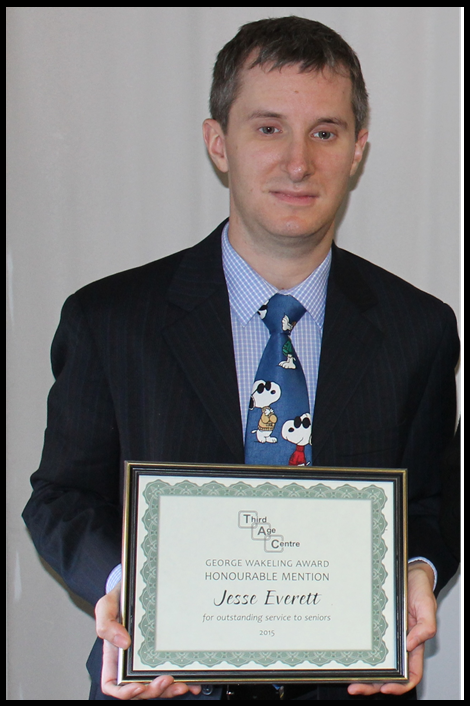 Two recipients were honoured with the George Wakeling Award in 2014. 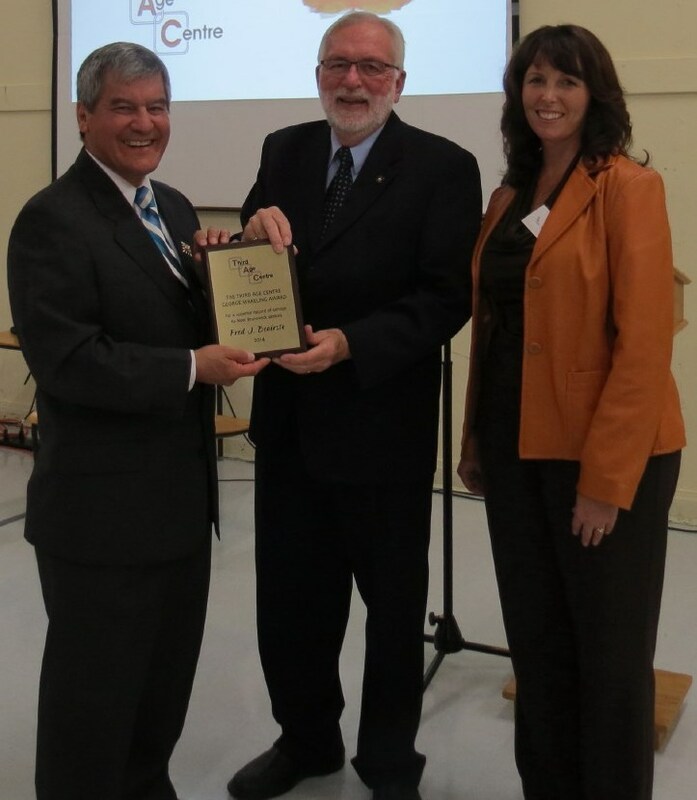 Michele Madore, President of TAC, left, and Lieutenant-Governor Graydon Nicholas present Marion Norquay with the George Wakeling Award. Lt.-Governor Graydon Nicholas, left, presents Fred Beairsto with the George Wakeling Award. The award was announced by TAC President Michele Madore, right. 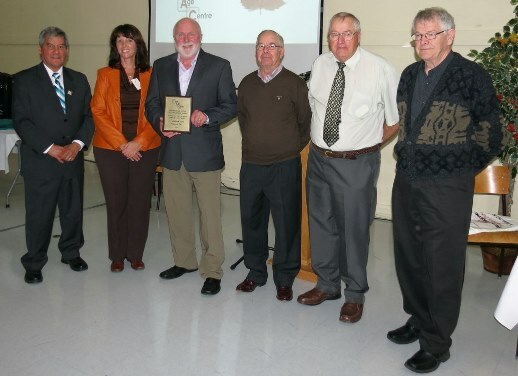 The Logue Memorial Award 2014 recipient is the Fredericton Area Network (FAN) Inc. Pictured are Lt.-Governor Graydon Nicholas, left, TAC President Michele Madore, FAN President Chris Grady, and FAN members Bob Andrews, Bill Brayall and Allison Warren. Absent from the photo are FAN members Murray Swan, Willard Miller and Llewellyn Brewer. © 2014 St. Thomas University.  Fredericton, New Brunswick, Canada.